I had the opportunity to attend the Veteran Mental Health Council Conference and represent the Manhattan Veteran Advocacy Council and VISN #3 Veteran Advocacy Council. 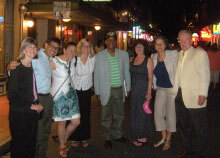 The Conference took place in New Orleans, LA from June 20th to June 22nd. Over all, I believe that the Conference was very productive and a great success. It gave those in attendance, especially the Veterans, the opportunity to acquire new skills and ideas. There was general agreement that we all were on the same level. The professional staff, those Veterans new to the Mental Health Councils, and those Veterans who have an established VMHC, had an opportunity to learn, discuss and share their understanding of the process of being a great VMHC. While the two days seemed long, a great deal of information was presented at the many sessions and workshops. 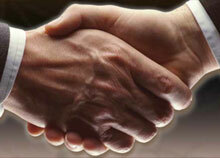 A major area of emphasis was the voicing of ‘respect and having good communication skills’. Everyone had an opportunity to comment and to listen. These skills are an important part of a successful VMHC. The information was presented in a way that everyone could relate to and understands the targeted outcome. I found the entire proceedings to be at a very understandable level. I had an opportunity to begin working as soon as I arrived at the Pre-registration/ Sign In on Sunday. I assisted Michelle Smith, from VISN #3 and the EES Staff in registering the delegates and distributing the Official Information Kits. Having Veterans sign the Photo Release form was very important. My photographic skills were quickly utilized doing the next two days of the Conference. I was able to meet and greet the attendees; I also served as the photographic historian. I made it my journey to have at least one photograph of everyone in participation. There were newsletters, brochures, posters and information from sites throughout the country on what they are doing. There was a presentation on Creative and Innovative Activities of different councils. It was interesting to see what they did and what we could appropriate for VISN #3 and our local VAC's. One site does a furniture drive for those Veterans who need furniture; another did a car show and had Veterans sign up for services at their VA. Orlando VA has a website so that Veterans can communicate with each other. There was a lot of discussion from the floor. We were given an opportunity to speak and ask questions and of course, to brag a little bit about what we do. Dr. Peggy Henderson is the Director of Consumer and Liaison Services, Psychosocial Rehabilitation and Recovery Section, Mental Health Services, VA Central Office and she and her planning committee spent a lot of time and thought in ensuring that this conference was enjoyable and informative for both the Veterans (42 of them from across the country attended) and the Staff who were present. I felt that everyone was on an equal level and that there was no difference between staff and Veterans there. The New Orleans council met us in the morning with a welcome to New Orleans package – it was full of Mardi Gras beads, booklets, coupons and anything else that we needed to blend in with the locals. At the last night, VISN #3 participants who were there had a wonderful dinner and we were joined by Dr. Peggy Henderson. We look forward to the participants having a meeting to discuss the conference and to look at next steps to take to ensure that we continue to work in partnership with the staff and Mental Health leadership to support the Councils in our VISN and for all of us to continue to grow. VISN 3 Veteran participants and VA employees meet for dinner after the Mental Health Counsumer Council Conference. I also learned that family members of the Veterans Advocacy Councils play an important role in the success of their local Council. They are partners, work hard and their input has the same value that Veterans have. The role of Veteran service organizations is also very important. Veterans do not have to give up any leverage when it comes to representation and advocacy for Veterans. As we are aware, the VAC is independent from the Veterans Administration and it is important that our allies play an equal part in the Council. Their having the ability to vote will not take anything/power away from Veterans. VACs should start small and eventually be able to do big things. There must be mutual trust, respect, honesty, and active listening. They must also know their goals and consider the impact of a partnership and working with the VA.
During the Conference there was an emphasis on the Volunteer Service Handbook, the Uniform Mental Health Services Handbook and its companion, the Guide to VA Mental Health Services for Veterans and Families, and the Veterans Mental Health Council Guide. Knowledge is power. The VA Patient Education Library is an information asset for VACs. VACs must be flexible, solution-focused models of appropriate assertiveness and recognize that success is a marathon and not a sprint. Thinking outside the box a Council must have connections in the community, use County or State Veterans Affairs, local VSO and organizations such as the Lions Club. Most of the time it is not what you know, but who you know. There are a lot of hurdles to overcome and VACs will need as much contact as possible to be successful. The Council is independent and may not be able to depend on the VA for certain funding. Each Council should consider putting together an Individual Action Plan. First, consider ways and places to reach out to your targeted audience. A 30 second “Elevator Pitch,” is very helpful. One thing that is important to getting new members is, “Ways to Retain Members.” Goals should cover the, “Who, What and When.” This includes helpful resources and allies. The VA is now beginning to use social media such as, “Twitter, Facebook, Youtube and other internet ways to communicate. All Manhattan VAC members should go to the patient computer room and set up a free yahoo e-mail address. It cost no money and this can serve as a contact point for information relating to the Dept. of Veterans Affairs and the Veterans Advocacy Councils. Our current e-mail address is: manvacadv2693@aol.com. It can be used to receive or send information. Do not hesitate to let me know if you need to use it. The Council can use it until it has an official e-mail address or web page. Once we complete the By-Laws we will be able to setup an official Manhattan Veterans Advocacy Council web page or e-mail address. Most likely the VA Public Affairs Officer may have to be contacted. At this time we will leave this issue for another time in the near future. Why do we have and need Veteran Mental Health Councils? The VA recognizes the need to change the basic approach to mental health care from reading symptoms to focusing on Recovery. The key to change is making services available that are driven by what Veterans want in their lives. The VA is now working with a shared partnership when it comes to Mental Health Services for Veterans. The VA uses the Mental Health Annual Report to make the best decisions for patient care. Evidence Based Practices is one area that the VA is using to give care to Veterans with Mental Health issues. This is one aspect of the VA that all VACs need to know and understand. The Council must also tie this into its understanding of VA services. This issue can be talked about or studied at a later date. It will take some time to put together addition information obtained from the Conference for the members of the Manhattan Veterans Advocacy Council. It is a work in progress and will continue to be until all members have a good understand of what is a VAC.